An annual review meeting will be held between MOGSC Executive Committee with PETRONAS Senior Management Team. 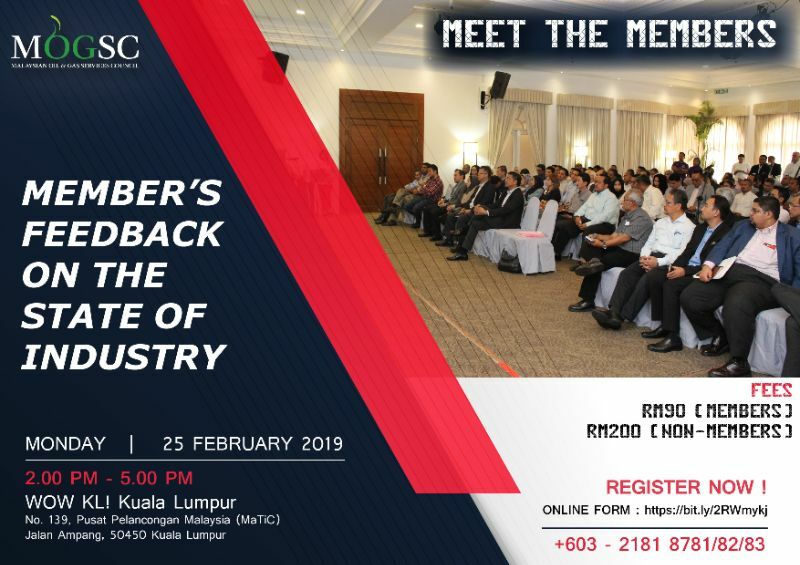 As such, it is pertinent for MOGSC to compile as much feedback on the state of the industry from our members to be highlighted to PETRONAS. MOGSC will also be engaging with the Malaysian Government and other Stakeholders and will also share the state of the industry to be used in crafting policies and incentives for the benefit of the Oil & Gas Industry. This list is non-exhaustive. Please come prepared to this special MOGSC Meet-the-Members with facts and details of specific issues your company is facing to be compiled.